To many people, pigs are an unwanted pet or dirty farm animal. Many believe that they are unclean and stinky. However, in reality, they are one of the smartest and cleanest animals when they are maintained properly. People who believe this common misconception do not know pigs and are misinformed. There are hundreds of fascinating facts about pigs, however I'm only going to cover the top five myths associated with keeping and raising them. My hope is that I can shed some light on these fascinating creatures and show you just how great they can truly be when properly understood and cared for. Fact: Pigs are actually one of the cleanest farm animals. They will only roll in the mud if they do not have proper shade and a clean steady water supply. Pigs are prone to overheating as their sweat glands are small, minimal and do not allow them to sweat. Not only do they not sweat well, but pale pigs can burn, leading them to wallow in the mud to stay cool. They need to wallow when adaquate shade or clean water cannot be found. Since they cannot sweat, mud allows them to be able to control their body temperature when the summer heat becomes too much. Well kept and shaded pens will prevent your pigs from wallowing, and getting dirty. Making sure your pigs have adequate space for living and feeding is also a great way to keep them clean. Putting pigs out on a pasture will provide them with plenty of space to roam and the ability to keep dry, clean, and cool. Pigs also require enough room to eat and defecate separately. They will sleep and defecate on two separate sides of the pen if given the proper amount of space. Fact: Pigs only take about an hour and a half a week to care for. Two hours if you plan to pasture them and are going to move their pen around for optimal foraging. Pigs are usually trouble free animals, and will forage and grow on their own with little care as long as they have proper housing, water, and food. Fact: Pigs are essentially the smartest farm animal, however they can’t see well. 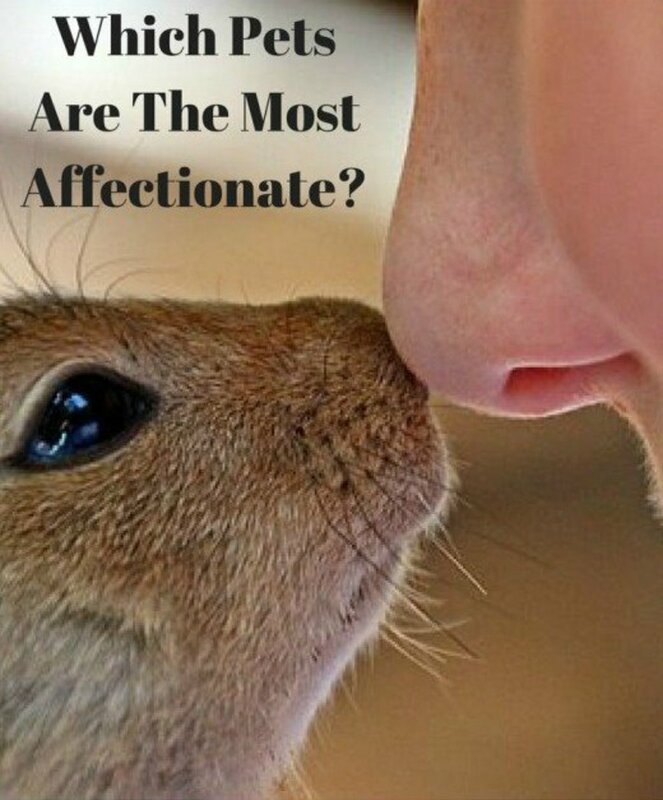 They are ranked as one of the top ten smartest animals on the intelligence scale. Some researchers believe they are even smarter than dogs, some primates, and three year old humans. They have been known to solve mazes, complex problems, they have the ability to comprehend simple symbolic language, and play video games. They also have excellent long-term memory and will communicate with each other through a wide range of oinks, squeals, and grunts. Relying heavily on memory and past experiences, pigs will learn their boundaries very quickly and will not tread where fencing once was. If you are wishing to move your fencing, you have to be careful not to put gates and open pasture where hot wires use to be. Pigs will be lenient to go near any place they remember having unpleasant memories. It is believed that pigs are one of the quickest animals to learn a new task, or routine; however, they have difficulty unlearning. Fact: Although pigs are foragers and rooters they do not need a lot of space. 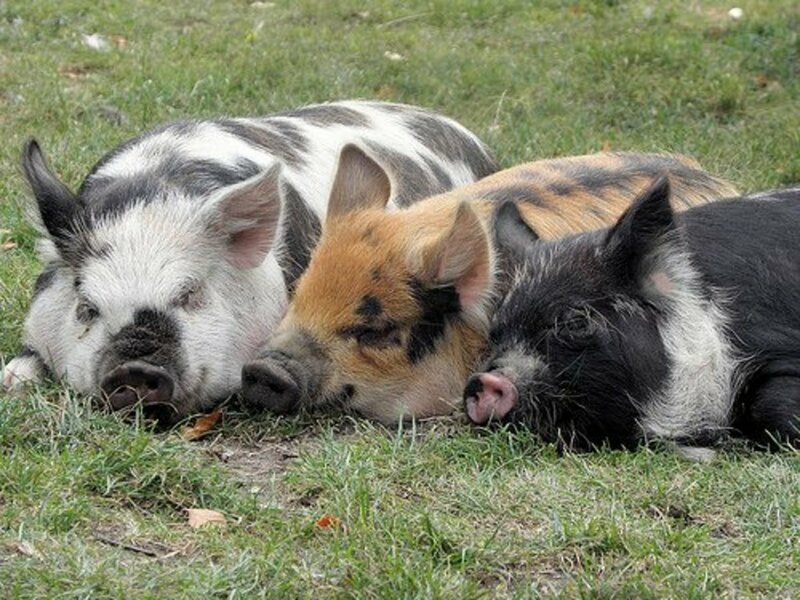 It is possible to let out as many as four pigs on just an acre of land. Rotating the area of the pen and supplementing their diet with grains will prevent them from foraging the ground to dirt. 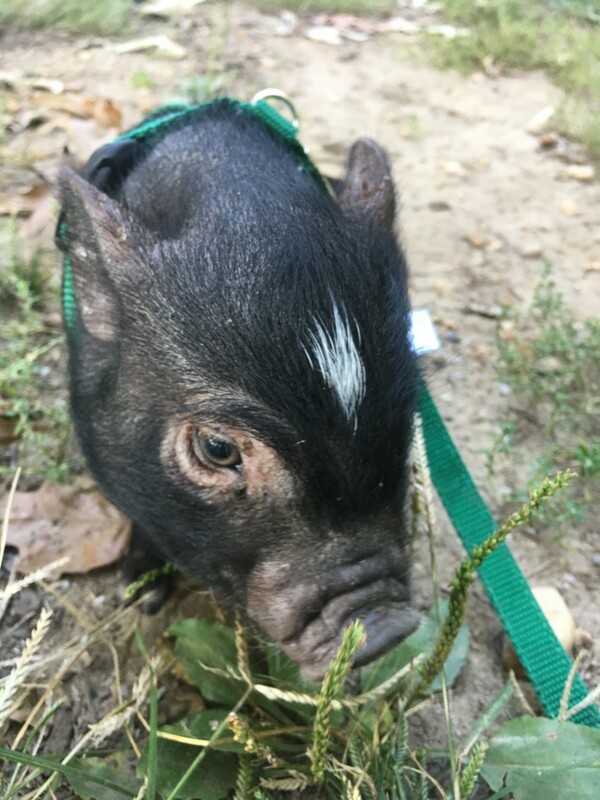 You can also use pigs to till and fertilize pasture and gardens which allows them to be able to find new food sources outside of their regular pen or pasture. 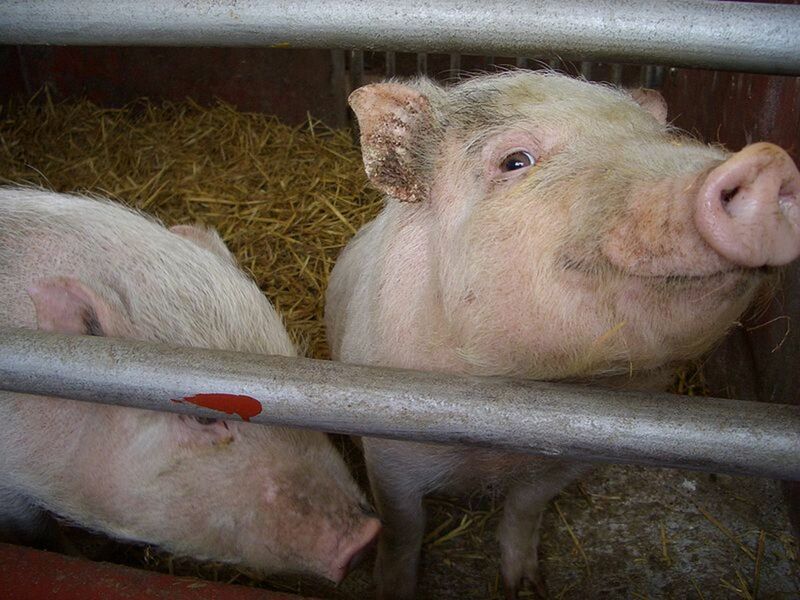 Fact: Although pigs are happier with companions you can make a profit from one to two pigs. Two or more is ideal as they are highly social animals, and thrive on being a close knit family unit. Larger groups also allows for friendly competition between pigs allowing them to fight over feed and grow faster. However, depending on your reasons for wanting to buy pigs, two is plenty to own as a pet, till and fertilize a garden, and produce meat for your family. 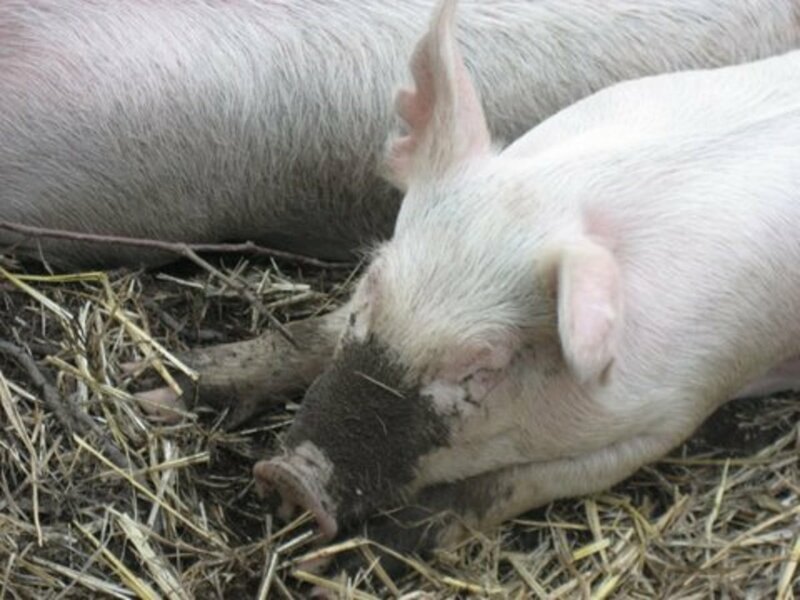 When managed properly pigs will grow up to be a healthy and hearty farm animal that will make a great addition to any farm or homestead. 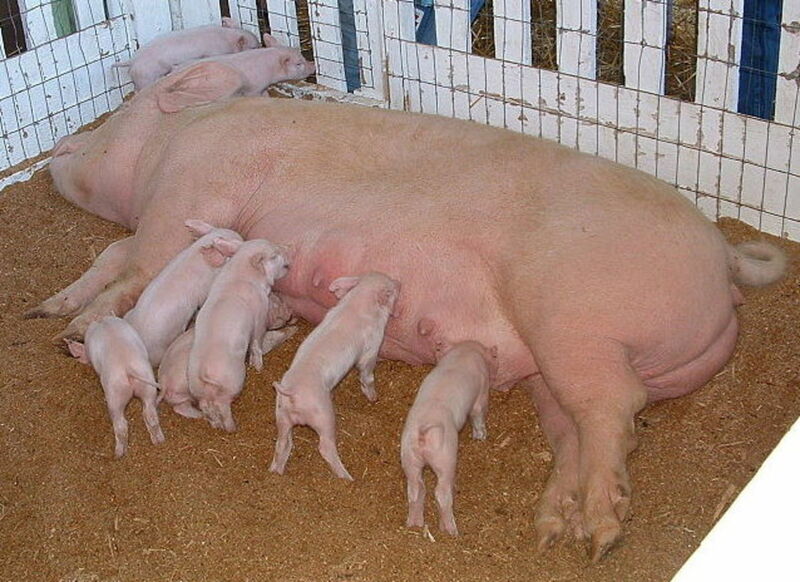 Pigs are affectionate, family friendly animals and thrive in family groups. 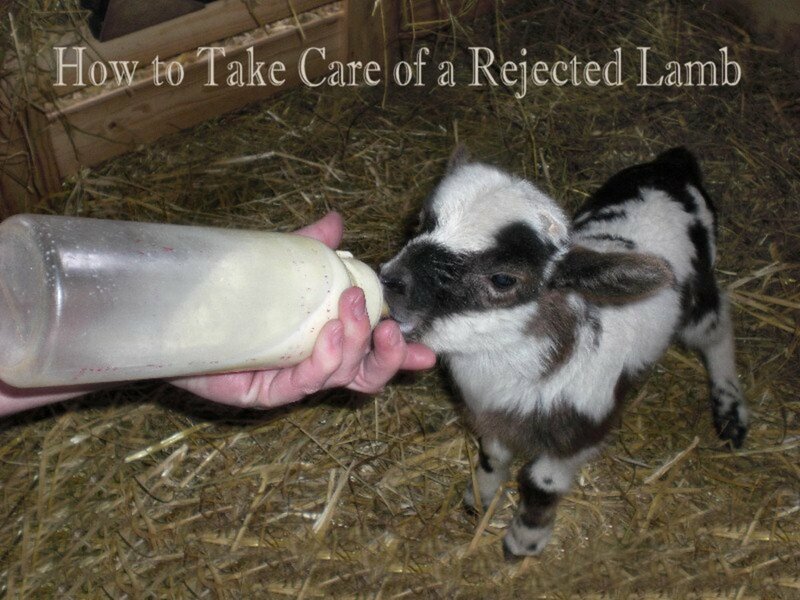 They are capable of forming bonds with their owners which can make it difficult to only raise them for meat. They are extremely peaceful animals, unless they are still intact, feel threatened or are provoked. 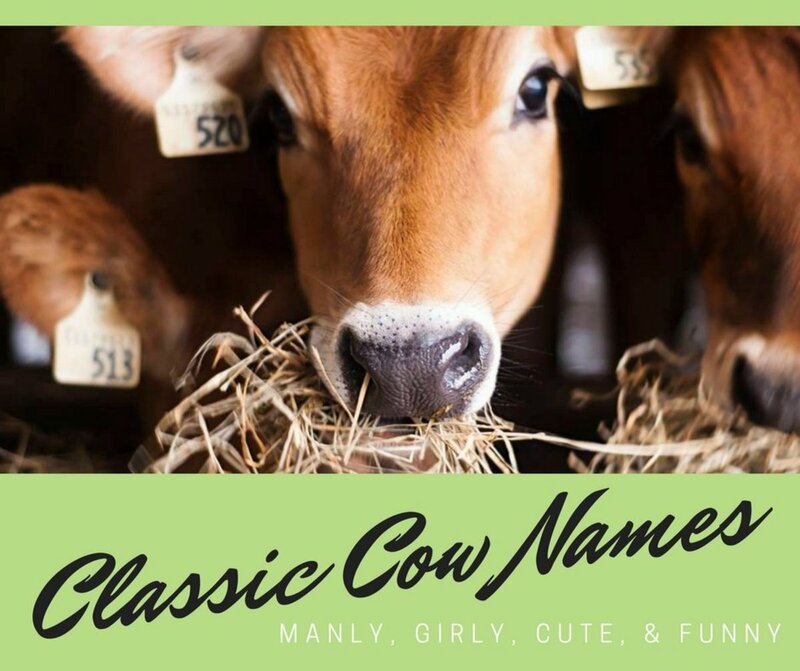 Whether you are looking for a new addition to the family, looking to make a profit, or wanting pigs solely for their meat, they are a great investment and will provide your farm with diversity and character. 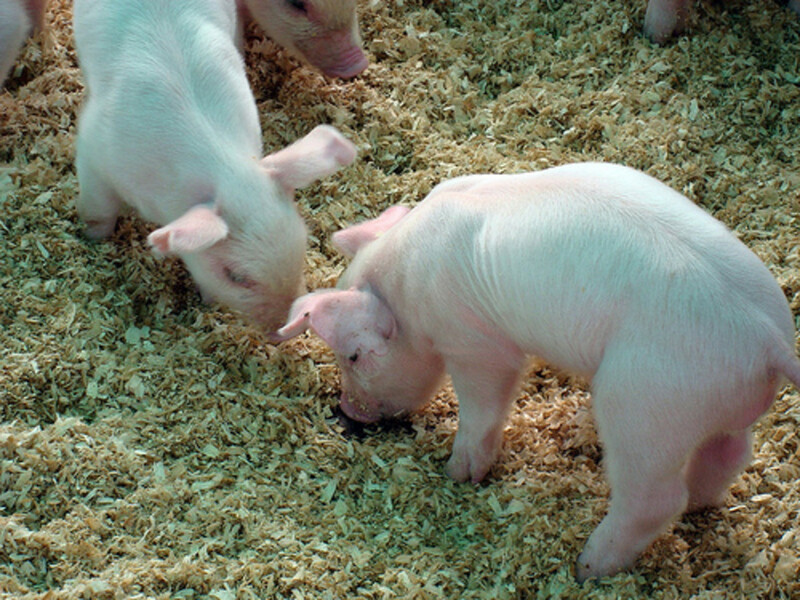 Given adequate care pigs can greatly enhance your farm. The humble pig is truly nothing but extrodinary. 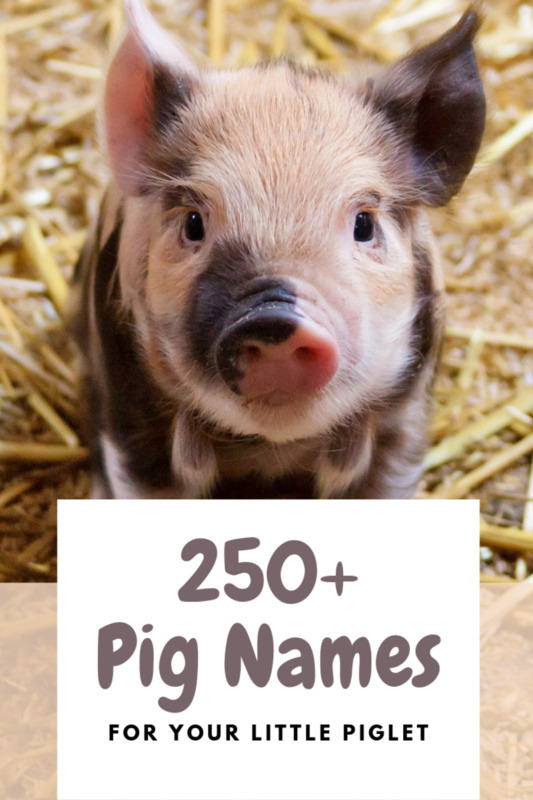 How Much do you Know About Pigs? Pigs are such lovely creatures ... thanks for writing so intelligently about them.They usually get such a bad press that your hub made a welcome change. Thanks Eddy for the vote up. Wht a great hub, I love anything to do with nature or animals and this one was a treat. I have to vote an up up and away. Take care and I look forward to reading many more by you. Got a soft spot for pigs, thanks. Congratulations on your Hubnuggets nomination. To read and vote and participate in the Hubnuggets fun, this way please: https://redelf.hubpages.com/hubnuggets6/hub/How-To... Enjoy! Thanks Simone! Glad you liked it. Pigs can be one of the most misinterpreted farm animals. I'm more than happy to share some facts about these wonderful creatures (my own opinion of course). What a fabulous Hub! I've learned several new things from this- and I'm quite pleased to see that the phrase "sweating like a pig" is accurate! Hmmm... maybe I'll raise pigs someday. 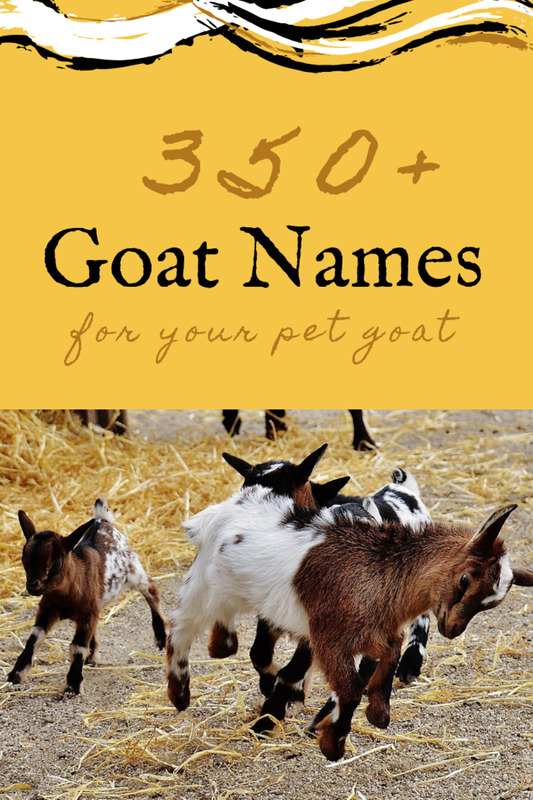 They can make really great pets if properly cared for. Thanks for the up Patty! My neighbor has a pig that is cute, clean, and quiet. Rated Up! :) Good luck with your hogs. I'm still trying to convince my fiancé that they would be a great addition. Hopefully this hub will help.